Become an improvisation expert! Learn and live the first rule of improv: Say, “Yes, and . . .” to your fellow improvisers, and be ready for major wackiness to ensue! Students will play plenty of improvisation games and do small and large group activities and scene work. We will film much of the work so that at the end of camp, we can select our favorite moments, brainstorm and write a storyline to connect these moments. What will follow will be a performance that will quite simply be unforgettable! Squirrel Drive at Colorado Academy Summer Camps! Reading and Literacy Camps Now Available! 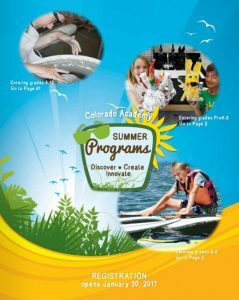 What Makes Summer Camp in Denver so Special? How Do You Choose a Summer Camp for Your Child?